Music is a very powerful element indeed and has a massive impact on the mood and feel of a ceremony. 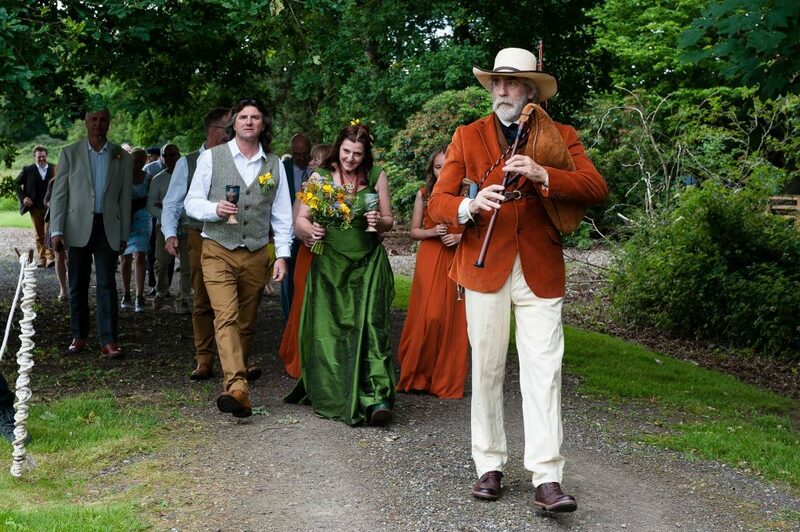 I love seeing reactions from people when they hear a piece of music and music is indeed a key part of all ceremonies. With weddings, both parties can enter to a song that represents their personality or one they really just love. It can be added to the ceremony too for a bit of fun and relevance! How about adding some live music to your script to make it more atmospheric, unique and special? Live music can be included in the ceremony to create a ceremony with a spark! Do you fancy a good old sing song at your wedding? Your favourite tune? A song that everybody can join in with? Adding a song for everybody to sing to at your ceremony creates a wonderful atmosphere and party mood! We have performed film themed weddings with extracts from film music, Disney themed ceremonies with Disney tunes and have added many sing-a-long songs to involve the guests. 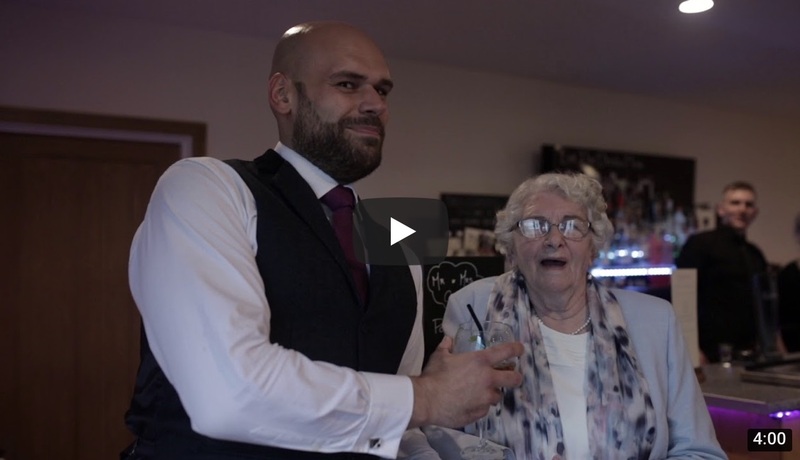 Lucy and Matthew chose to have a wedding video with a difference! The team from Marryoke spent the whole day filming lots of different guests having fun dancing and miming along to the chosen song. Lucy and Matthew had added a choice of 3 songs to their wedding invites and so went with the one with most votes! I appear 3 times on the video if you watch it all the way through! 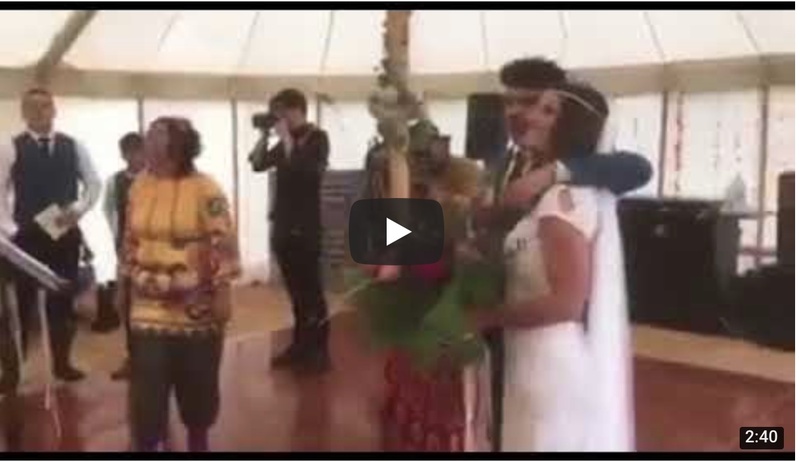 One love was the theme of Luke and Emily’s wedding and even when we had to run inside due to the rain, the atmosphere in the marquee was full of love and warmth from everybody and the sing-a-long song created a wonderful atmosphere to the ceremony! 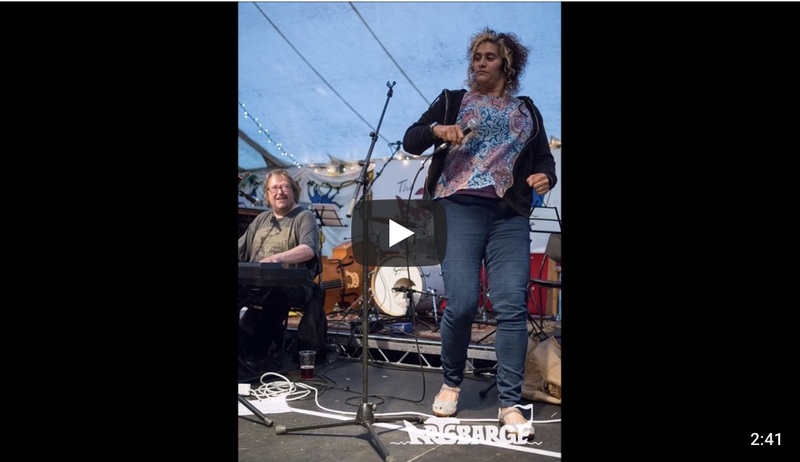 This video features a recording by myself and the pianist, Kieran White. Kieran has played piano with me at many weddings where we have used live music in the ceremony to create a totally unique event. 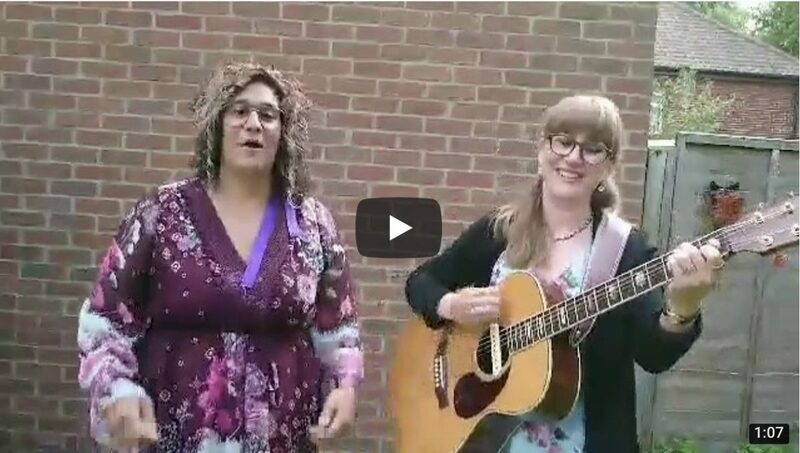 This song is a typical sing-a-long song that is a good example of how you can integrate and include your guests! 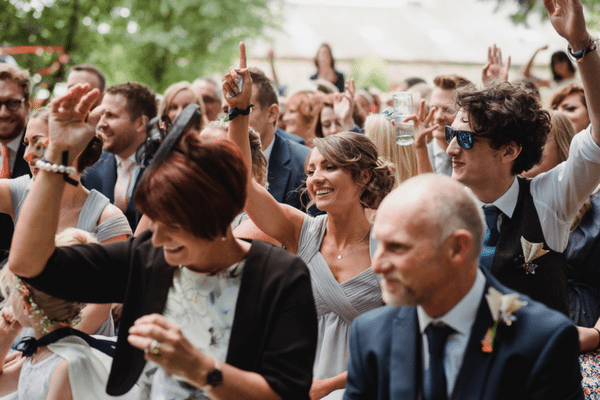 Mary and Robin got married at Byland Abbey and had live music with a great sing-a-long of “You’re Just to Good to be True.” Harry Potter, Star Wars, Top Gun and Disney were thrown into the ceremony. I even got to wear a beard! If you would like a song added to your ceremony, I can include a relevant acapella song in the ceremony or for an extra cost*, I can provide a musician (guitarist or pianist) to play and sing with as part of the ceremony and also arrange a relevant song for you and your guests to sing along to**. 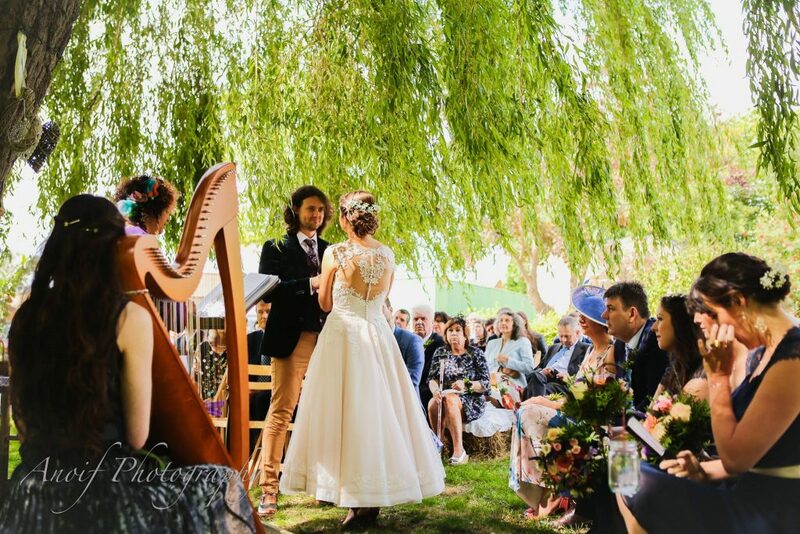 Live music can be arranged for weddings, funerals and naming ceremonies and it can be arranged for songs and music to be played before or after the ceremony. 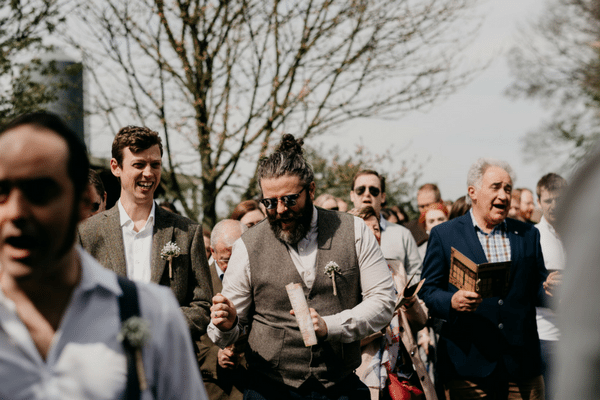 Music is an important part of the ceremony as it brings an atmosphere to the event and personal favourites are indeed poignant to the meaning of the ceremony.